Elvis, the King of Rock ’n’ Roll, died August 16, 1977, and into the vacuum rushed a new genre of performer: the Elvis impersonator. 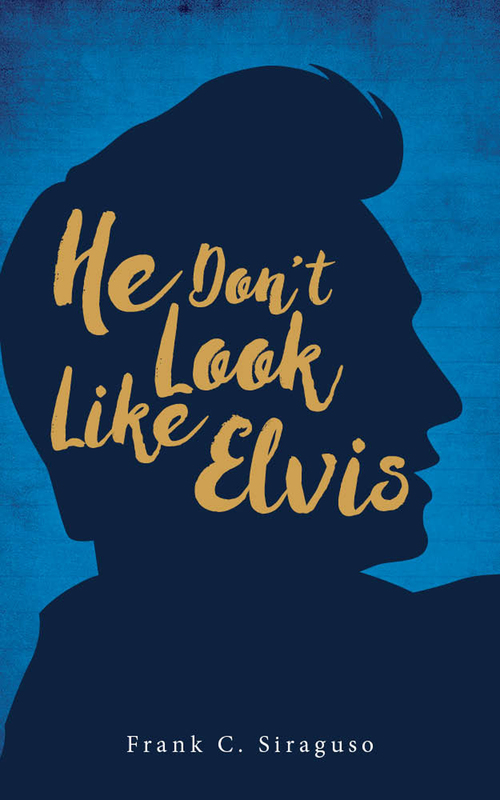 He Don’t Look Like Elvis is the unflinching, tragicomic true tale of the ups and downs of band life on the low end of the food chain, told from the viewpoint of the author, Frank Siraguso (aka Frankie Stone), a bass player for Elvis impersonator Bobby Love and his band, the Love Machine. The band members try to maintain a straight face and an even keel in a traveling rock and roll fantasy circus. It was a fantasy fueled not only because Bobby and the band are capable of some knockout performances but also because the fans could never get enough of the King – alive, dead or otherwise. Audiences know Bobby isn’t Elvis but mob him anyway for scarves, autographs and kisses. This was definitely not the pampered, plush, rock-star tour deluxe. No jets from city to city, no waiting limousines. This is the working musicians’ life on the road playing in dive bars, staying in low-rent motels in small towns, lugging their own equipment and praying that the pickup truck and trailer got them to the next gig in one piece. “A comic valentine to every band that never hit the big time. Just too bizarre NOT to be true. Don’t miss this wild ride!” – Marli M.
“In a chronicle that’s unsparing in its honesty, the glamor of rock-n-roll meets the potholes in the road.” – Bodhi T.
Frank grew up in Kansas City, Missouri, in the Northeast neighborhood. 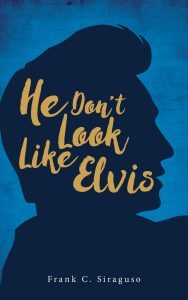 He always had the idea of being a writer but was distracted by Elvis, learning guitar, playing Ventures songs and, finally, Beatlemania. He really did quit college to make a go of playing in a band and really did work as a land surveyor to earn money to buy a bass and amp. After the Bobby Love experience Frank returned to college but also went back to surveying. He became a party chief, a title which, despite its festive name, indicates the leader of a survey party. Eventually Frank graduated from college, moved to Long Beach, California, and became photographer for Tempo, a local magazine. He also worked a brief stint as assistant pressroom manager at the Long Beach Press Telegram. He moved back to KC and resumed his photography work. In the mid-1990s Frank got the internet bug, taught himself HTML and started an online column, Field Notes, which would now be called a blog, about various topics. He also started writing for Infozine, eventually writing theater reviews. He has had photos published in New Letters, one of the oldest literary magazines in the U.S., and poetry published in local poetry magazines such as Thorny Locust. 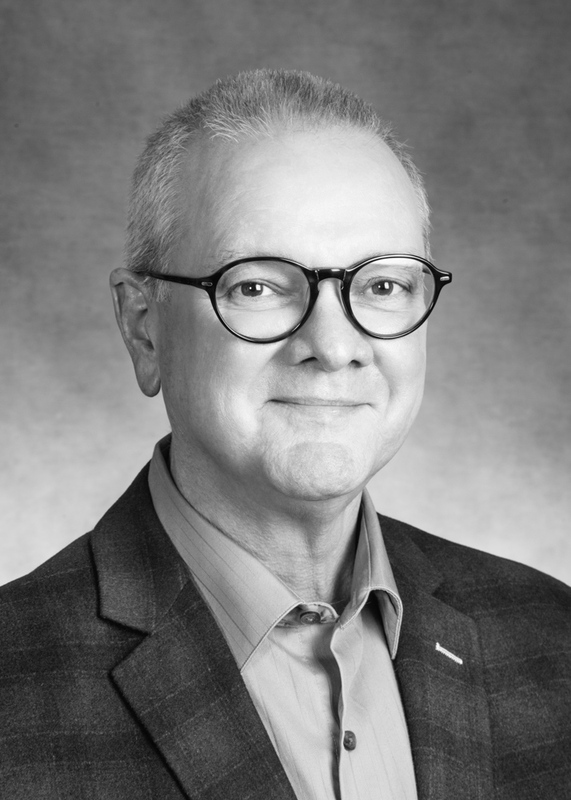 Finally, in 1999, Frank landed a gig at Valentine Radford, then the oldest ad agency in KC, in their new interactive department as a web writer. From there he moved to another ad agency and then became the web writer for a local hospital, where he worked long enough to become senior writer. In December 2012 Frank graduated from the University of Kansas with an MA in communication studies. Soon after, Frank managed to start a freelance writing business specializing in medical writing, which he continues. Frank retired from bands in 1992, after playing for a year with the Nightcrawlers, a band comprising remnants from the Rubbermaids, a well-known local band. He eschewed music for years, but eventually decided to learn jazz guitar on his own. Luckily, there is very little danger of joining another band but playing music is fun again.